From the Medieval hilltop town of Sancerre, we have an incredible view overlooking the Loire River. This is the ancestral homeland of antiquity’s powerful Gaullic Celtic tribe, the Bituriges, “The Kings of the World.” After their defeat at the hands of Julius Caesar, a temple was built on a nearby hillside in the Imperator’s (victorious general) honor. Many historians and anthropologists lend credence that the temple’s name, “Sacred to Caesar,” eventually developed into the name, Sancerre. Once the Romans dominated the land, they saw to it that the Loire Valley was cultivated for farming and of course, vineyards. This is a fabled land with a long history and filled rich in viticulture. Today, I am joined by friend and fellow sommelier, Ivelisse Negroni. We are in Sancerre to share with our readers, one of our favorite summer wines, Sauvignon Blanc. 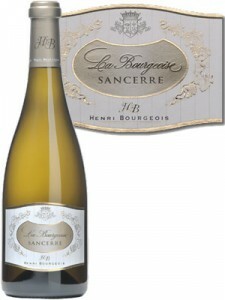 Sancerre is synonymous with this aromatic and crisp wine that is punctuated with herbal notes and mineral nuances. What separates the grapes of Loire from other appellations throughout the world is its smoky gunflint character. The local people refer to this as “pierre a fusil.” This distinctive aroma can only be found in grapes cultivated throughout eastern Loire. While less fruit-driven than many of the modern styles of Sauvignon Blanc, there is just enough fruit to compliment the wine’s acidity and minerality. Ivelisse selected Domaine Thomas & Fils Le Crele 2011. In the glass, it is pale yellow with a glimmer of green. On the nose, the bouquet is filled with ample aromas of wildflowers, herbs, and grapefruit. On the palate, our wine is lively and vibrant, showing a lot of character. It has just the right amount of fruitiness to compliment the wine’s high acidity and minerality that I found mouth-watering. The finish is feisty and lingering. The alcohol content is 13.5% with a price tag of $25. “This is a wine that is lively, yet balanced nicely,” Ivelisse openly displayed her pleasure. “Since it is a zesty wine, I would pair it with grilled salmon and a salad with tangy goat cheese,” said lightly as she continued to sip her wine. “Lemon chicken reminds me of one of your old girlfriends,” Ivelisse giggled under her breath. Henri Bourgeois Le Mont Damnes de Bourgeois 2008 is a pale straw color in the glass. On the nose, it is powerful and flinty with a noticeable citrus character. The bouquet is a definite expression of the stony character of the soil. On the palate it is powerful and with an intensity that captivates. The citrus flavors slowly break through and add an intensity of this taut wine. The alcohol content is 13% with a price tag of $40. “What about cheeses?” I queried? Our next selection, Domaine Fouassier Melodie de Gustave Fouassier 2009 is made from 100% Sauvignon grapes from vines that are over 40 years old. The grapes have been fermented in French oak barrels and the wine is aged on the lees for 10 months. In the glass, it is light gold in color. The nose is filled with the complexity of white fruits that prevail while woody notes accent the bouquet. On the palate, it is full-bodied, revealing a marked expression of dried fruit. 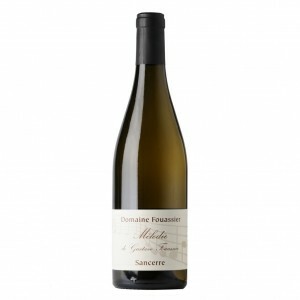 The wine is accented with creamy notes of vanilla and butter, with just a whisper lemon and green plums. This is a rich opulent wine with a long and memorable finish. The alcohol content is 13.5% with a price tag of $35. “I would just chill it a bit more,” I flashed her a playful grin. Our last wine,Domaine Vacheron Les Roamains 2008 reminded me that Sancerre was once a Roman stronghold. In the glass, this organic/biodynamic wine is a pleasing straw yellow. The nose is saturated with lush, juicy aromas of sautéed pears and honeysuckle blossoms. On the palate, it is well structured and filled with an array of exotic fruits. What makes this Sancerre is its intense and stony minerality. The finish is long and dry, with just the right amount of zing. The alcohol content is 13.5% with a price tag of $50. “With your penchant for history, I knew you would at least approve of the name,” Ivelisse broke out into laughter. “I would most definitely pair it with shellfish or trout,” she replied. “Definitely a Pouligny Saint Pierre, she added with a quick nod, knowing full well my preference for goat cheese. “Just one bucket?” She flashed me a wide beaming smile as we both broke out into uncontrollable laughter.